This master thesis analyzes and detects the Drosophila Melanogaster (also called fruit fly) wing structure and quantifies different protein concentration gradients over some of the detected regions. 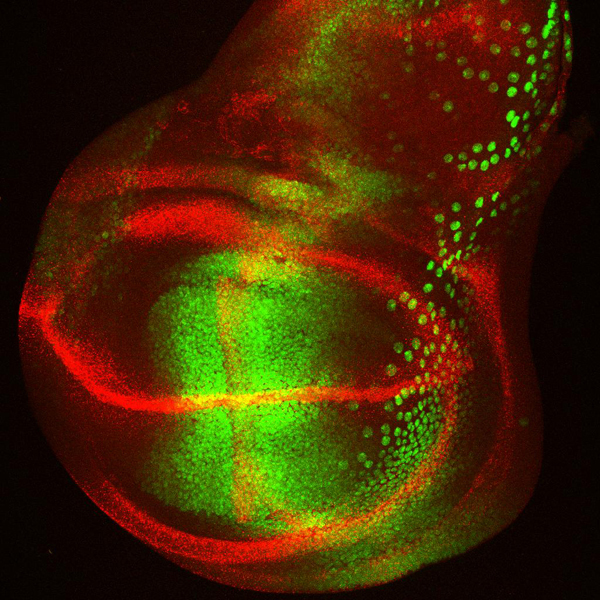 To perform that, we process stacks of confocal fluorescent images of Drosophila wing disc at different ages, see Figure 1. In particular and for each wing disc, two stacks are available. The first one is used to highlight the structure of the wing and the second contains information about a specific protein concentration gradient which we would like to quantify. The main techniques applied are active contours, specifically snakes. 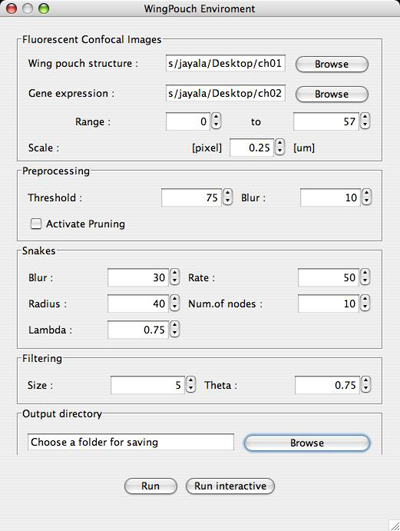 They have been programmed as an ImageJ plug-in. In Figure 2 there is an example of the plug-in´s GUI. 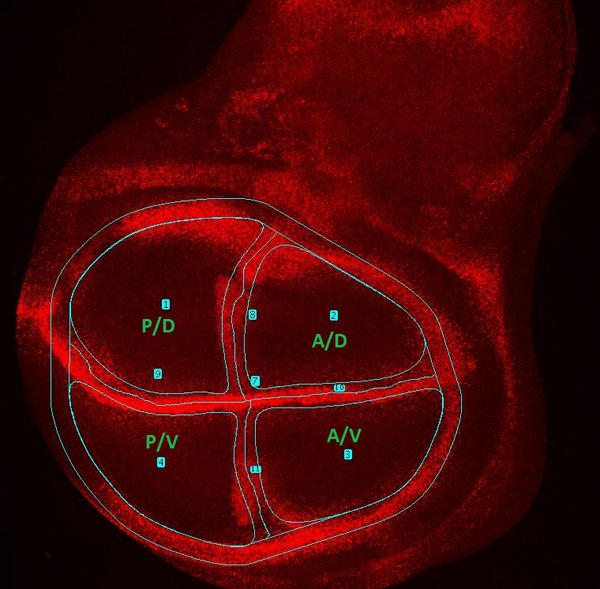 The final result is an image with the regions of the wing disc labeled (Figure 3). 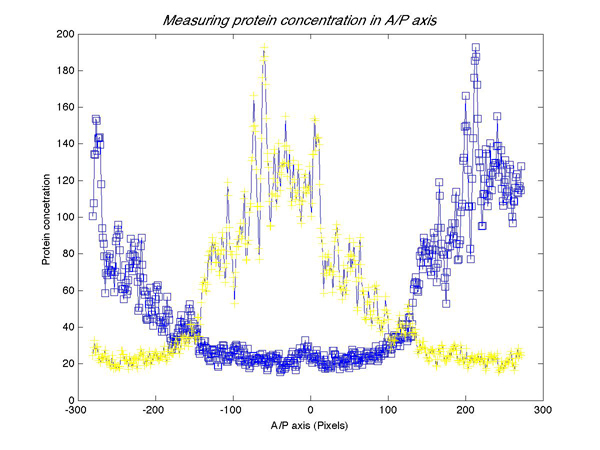 Also, an output file with the quantification of the protein concentration and the specific features of this wing disc will be generated (Figure 4).